If your're looking for excellent service and people-friendly, approach, then you've come to the right place!! At Sharp Tax Service, our goal is to provide a quality service and great experience to our clients. 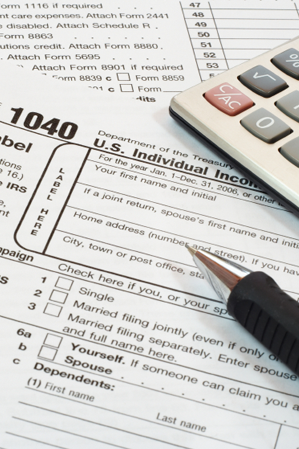 We can prepare your taxes and get you the largest income tax return possible. Our highly skilled agents are very knowledgeable and will assist you in preparing your taxes as well as getting your money to you as quickly as possible. Sharp Tax Service is a professional tax firm with services including income tax preparation and income tax planning, plus representation for clients facing audits, tax appeals and tax collection actions. Our clients include individuals, couples, families, professionals and small business owners. We love what we do and we love our clients. Our rates are affordable...Call us to schedule an appointment today!!! Accounting Service Personal Income Tax Preparation Business Income Tax Preparation Back unfiled taxes IRS Audit Representation And More... Click to view a full list of Services. We provide a full list of resources for Professional Organizations and Governmental Agencies, and Tax Law. See more about the resources we offer here.